The parochial house roof is in dire need of repair as it is leaking onto Father Jack's head. Ted calls Bishop Brennan and gets permission to raffle a Rover car. Upon possession of the car, Dougal spots a dent on the bonnet. Ted decides to remove it with a hammer but only succeeds in destroying the entire car with his incompetent handiwork. Ted has to come up with a plan quickly before Bishop Brennan finds out. He remembers that Father Finnegan(the Dancing Priest) has an identical car, so he goes to his home to borrow it. Father finnegan agrees and gives Ted the keys to the car. Because Ted cannot give the car away, they have to rig the raffle so that Dougal, with his number eleven ticket, wins the prize. They manage to sell a lot of tickets, 2000 go to Father Billy O'Dwyer, who has a bad gambling problem. Despite a few problems, Ted and Dougal manage to pull the scam off. Back at the parochial house the news reaches them that the dancing Bishop, Father Finnegan, has died. This is great news as it means that Ted can now keep the car. Unfortunately, Jack has stolen it to get some more drink, and he explains that he ran it into two trucks. The car is a write-off, and even worse, when they get back in the house, they realise that Father O'Dwyer has stolen the raffle money. With the leak to the roof getting worse, Ted, Dougal, Jack and Mrs Doyle have to spend the rest of the year in anoraks. 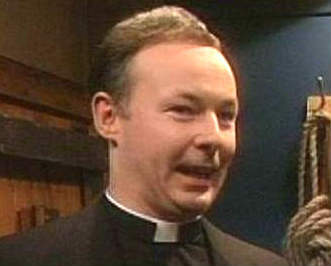 Father Dougal: Sorry Ted, I was looking at the ticket upside down. Dougal amuses himself by eating a cheese-and-onion crisp and a salt-and-vinegar crisp in one go. Jack shouts I'm a happy camper when Ted and Dougal move his chair from under the leak in the roof. Craggy Island was allowed to raffle two bags of coal in 1964. Ted and Dougal often run away when there's trouble brewing, but they always get found again. The crows often attack Jack. After making a batch of sandwiches, Mrs Doyle tests one and if it doesn't meet her standards, throws the lot in the bin. 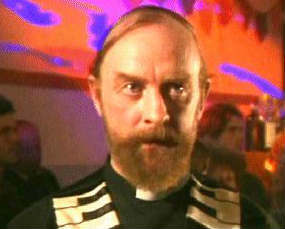 Father O'Dwyer (The Spinmaster) only remembers to bring one record, Ghost Town by The Specials. The closing scenes show the Most boring priest in the world giving a long monologue.